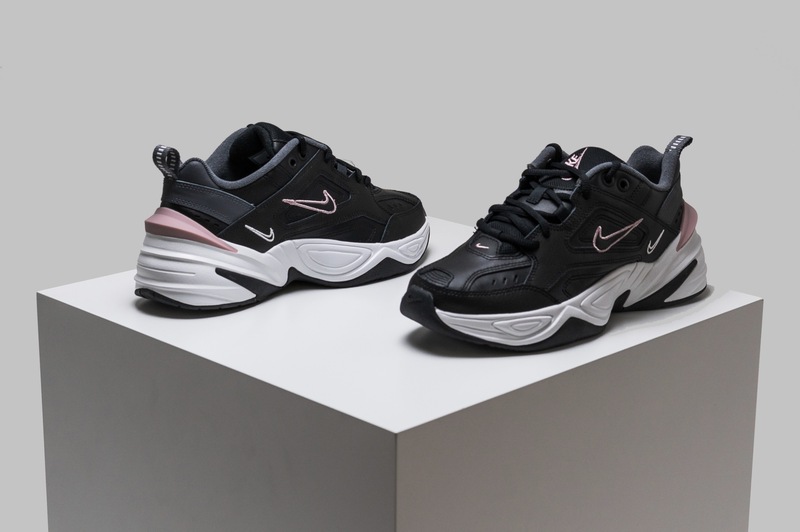 Everyone loves the Nike M2K Tekno silhouette, with its chunky, retro styling and throwback aesthetic. Since their first release around a year ago, the silhouette has boomed and 2019 has brought a series of new colourways into the line up. Platinum Tint/Wolf Grey/Celery, Black/Plum Chalk, Summit White/Spruce Aura, Plum Chalk/Plum Dust/Summit White and Triple Black are the newest hues and we are loving the simplicity that they have brought with them. 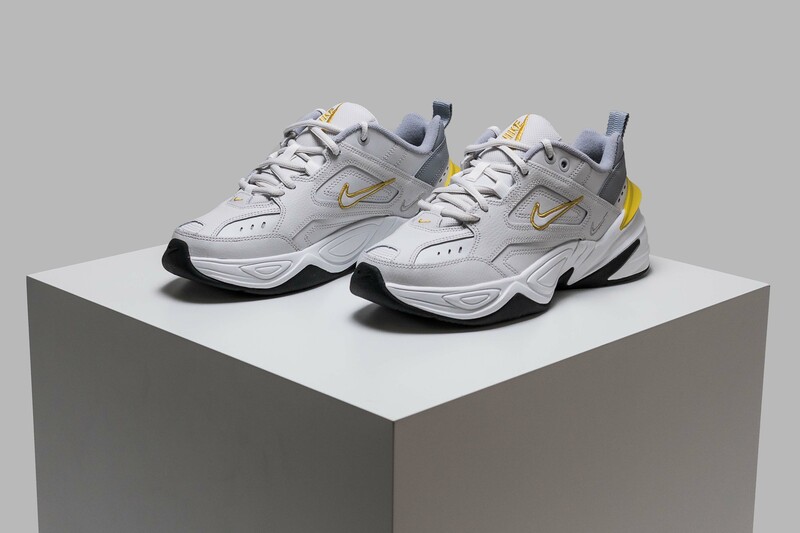 The most popular of the newest colours has been the Platinum Tint/Wolf Grey/Celery, arriving in a subtle grey tone with golden yellow accents around the Swoosh and rear of the sneaker. Clean lines keep this sneaker simple while the yellow touches brighten it just the right amount, in the same style as the OG M2K with orange panelling around the heel. The Black/Plum Chalk colourway is a monochrome silhouette with just a tiny hint of pink. Again, used for the Swoosh outline, tongue branding and heel panel of the sneaker. As always, the chunky midsole sits below foot in a two-hue style for contrast and to add that much loved chunkiness to the silhouette. Another popular colourway is the Summit White/Spruce Aura, a baby green silhouette arriving with green leather dressing the upper in a block tone. 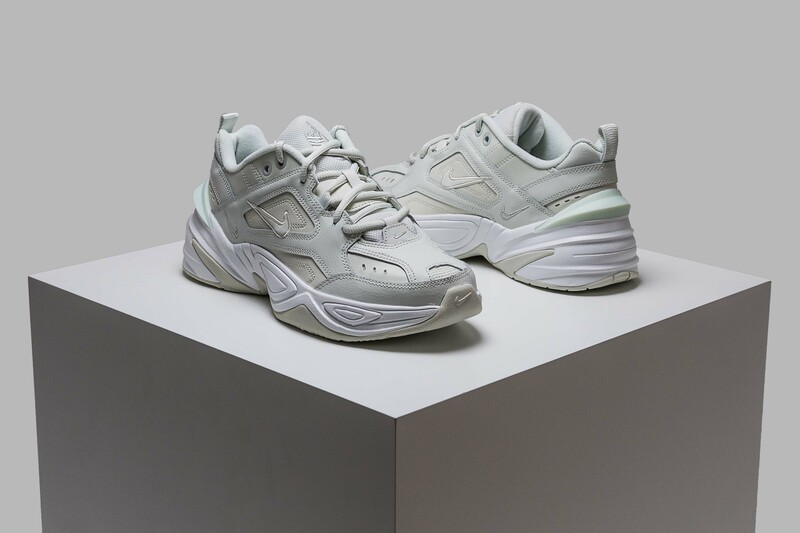 A clean white midsole sits below foot and shows off a matching green outsole for that signature M2K Tekno look. If you’re wanting something a bit prettier, then the Plum Chalk/Plum Dust/Summit White should be your go-to. 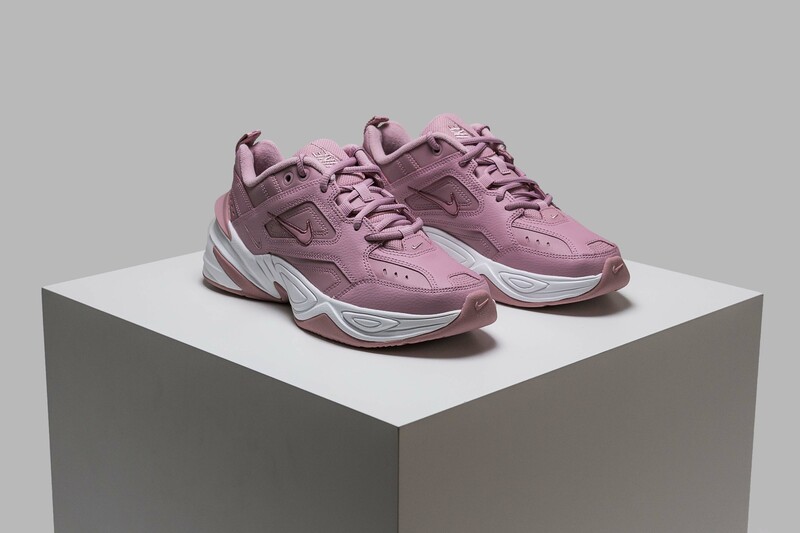 This pink silhouette boasts the same colour format as the above, with a colour blocked upper, white chunky midsole below foot and a pink outsole for traction. Finally, the most minimal of them all, the Triple Black. Following on from the only other block colourway, the Triple White that was released last summer. This colourway is for the real minimalists and those who have been looking high and low for that perfect triple black chunky sneaker. 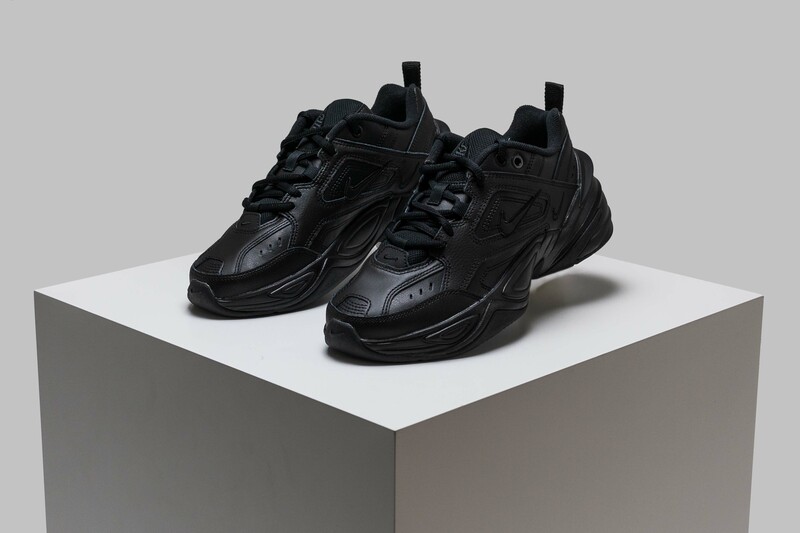 All accents and panels arrive in a deep black, to give you the ultimate chic sneaker. 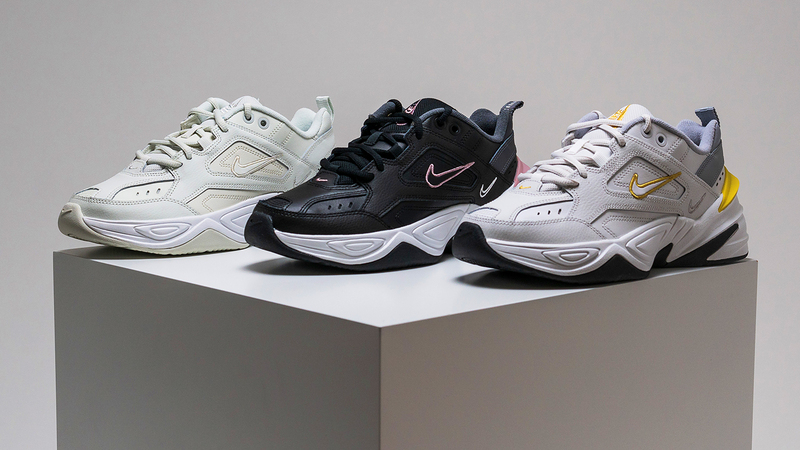 Each Nike M2K Tekno colourway is available now, and we anticipate the next round to be coming soon. Be sure to stay tuned to The Sole Womens for all your female sneaker news, releases and style guides!